It a meal that is sure to make you lick your fingers. actually, this one is my favorite. 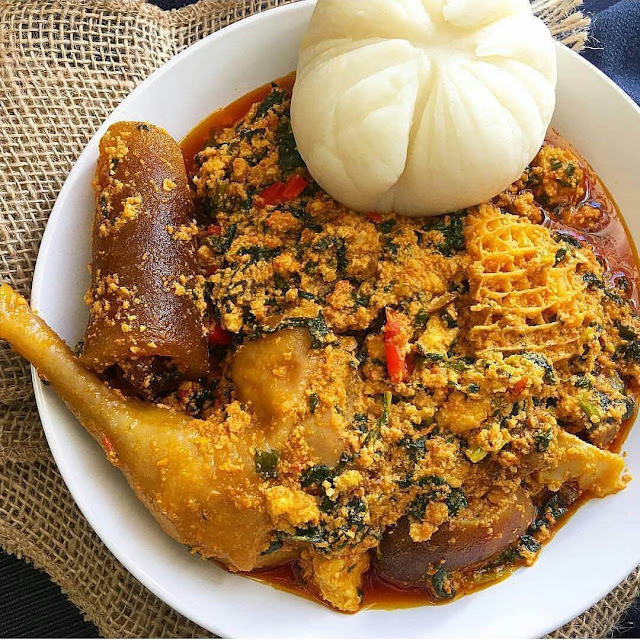 it made with different varieties of vegetables, it is also known as the melon seed soup, the egusi soup is native to several tribes in Nigeria. Among the Igbos/ibos in the southeastern part of Nigeria. the Yoruba also eats egusi. 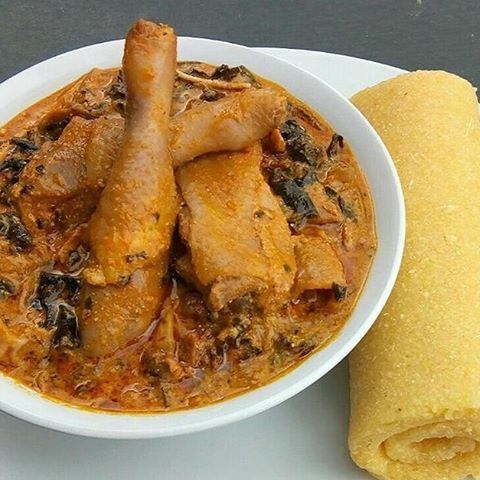 the egusi is called different names by different tribes in the country the southeastern people call it ofe egusi, efo elegusi by the southwest people (Yorubas)and miyan gushi by the northern people(Hausa people). it is also eaten in other countries like Ghana and Cameroon. 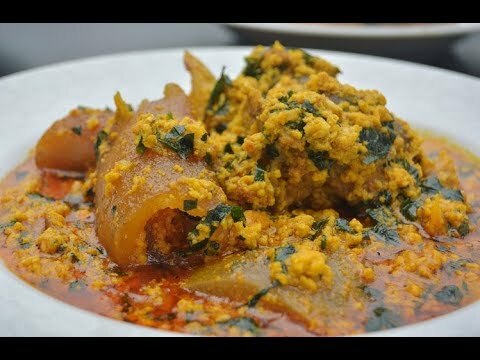 You how to cook Egusi soup or click here to watch this video. Have you heard of the NAMIBIAN VENSION? if you have not then you are in the right place. NOSTALGIA FEELING. 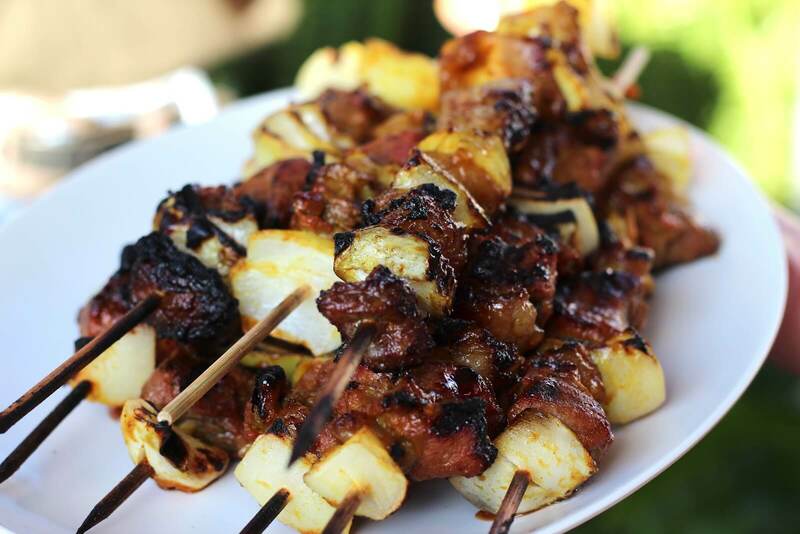 The dish is mostly prepared with meat and some ingredients to add taste, due to the varieties of meats the Namibians uses to prepare this dish they believe the best meat comes from there homeland. Nutritionally, the Namibian Venison contains 34 calories, 18-24g of protein and less than one gram of fat per ounce. a four-ounce serving contains 20mg, 3.3mg of iron and some of the vitamin b complex. However, venison is mostly prepared with wild meat. also, there is a little possibility that it could be contaminated with lead as a result of the bullet used in hunting. Therefore, it is advisable that pregnant women or women who have taken in between the period of 0-6months should avoid it, in other to prevent lead poisoning. The name pap en vleis come from the Zulu language which means maize porridge and meat, while Shisa Nyama means "burn the meat". this dish which originated in southern Africa is a combination of starch, stewed meat with spicy gravy which is a must add and chakalaka. this dish which originated in southern Africa is not that complicated to prepare, by combining cooked meat in different ways and porridge maize in different forms. The most stunning thing about this food is that most SHISA NYAMA restaurant where they are sold are mostly close to butcher, which gives the customer a wide range of meat to select from. the meat can be prepared in form of steak, chops, kebabs, chicken etc. This dish is served better by the South African local beer. this is one of those meals they say would make you say yes I have arrived in SOUTH AFRICA. This is another wonderful delicacy which originated from egypt.it can be cooked with fava beans majorly served with vegetable oil, cumin and optionally with chopped parsley, other vegetable herbs, and spice ingredients. it is known to the very popular in the northern cities of Cairo and Gizeh. 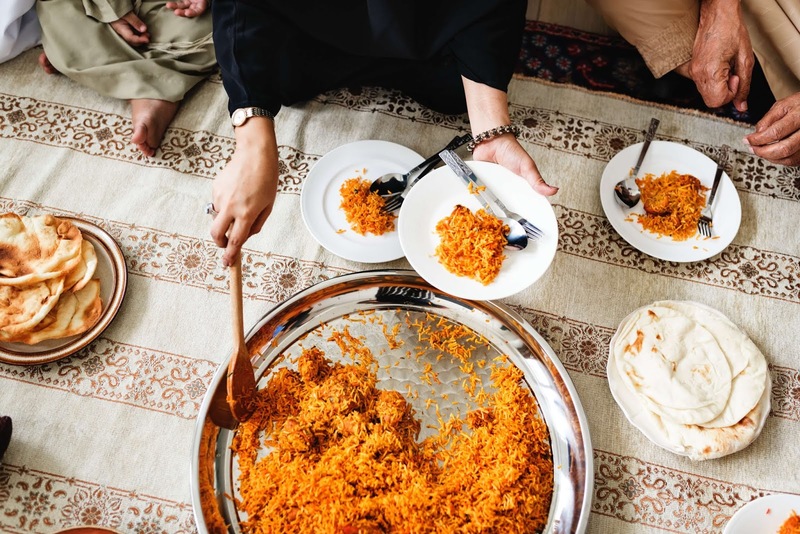 it is a well-known cuisine in many Arab, middle east, and African cultures. 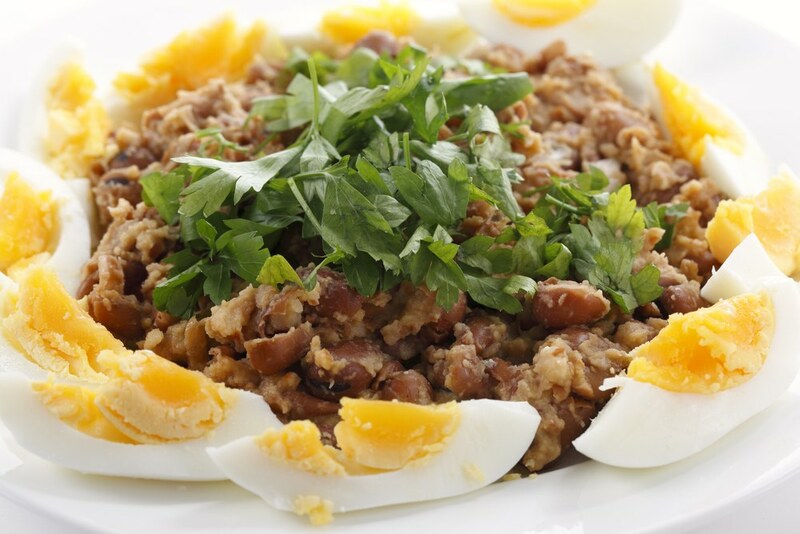 147 calories are contained in 100grams of FUL MEDAMES, it contains fat in 33%, 49% of carbohydrate and 18% of proteins. This is popularly known to be a Moroccan food/dish because it is majorly consumed by people living in the Maghreb countries. it is a very popular food in Algeria and Tunisia. it is prepared with different types of ingredients which are, dough, broth, spice, squab, chicken, and fish. 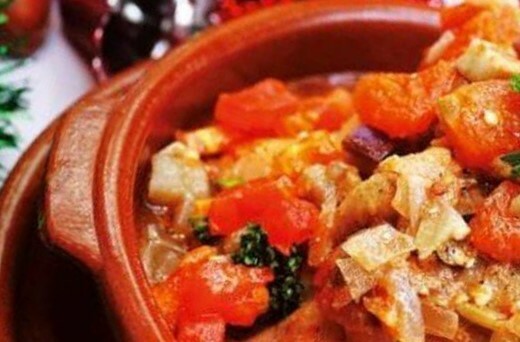 this one is a very classic dish coming in Morocco, it could be quite tricky to cook and most of its ingredients like the squab are very expensive but nicely flavored too. 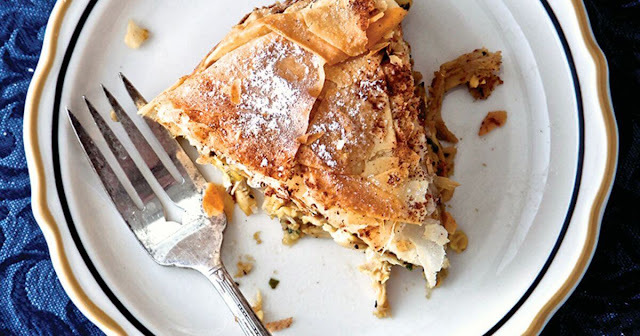 the PASTILLA is a very different and unique type of dish because it is flavored with uniqueness from different continent and countries like Andalusian Spain, Arabia and also France. 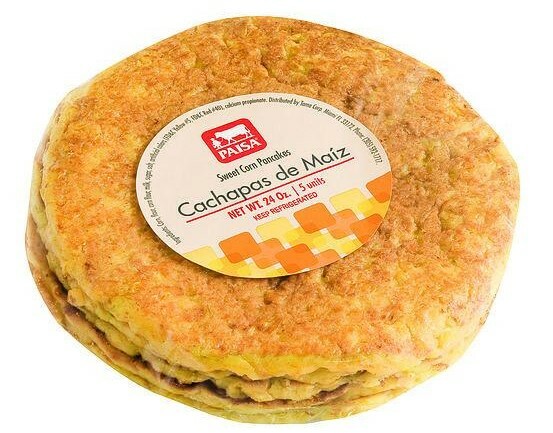 Nutritionally it contains 15.9g lipid(fat), 56.2g of carbohydrate, 3.1g of fiber and kcal of 478. the pastilla is also called jowhara or the pastilla with Milla. spicy and flavored chicken dish with root in Africa and Portugal. it was first prepared in Mozambique and Angola when the Portuguese arrived with their chili pepper which means PIRI-PIRI in Swahili. the Piri-Piri chicken is considered a very simple dish to prepare it requires few steps and is quite delicious as it is served with the Piri-Piri sauce. The Piri-Piri chicken is prepared in two major ways. the sauce varies in the sense that it depends on the quantity of everything used to cook it but is always has that uniqueness in its taste. The most eaten food in Africa, with botanical name Oryza glabrerrina also known as African rice. when freshly harvested it is usually moist and can be puffed in fire and eaten. its other cousin the Oryza sativa is also known as Asian rice which most people refer to as the English rice. rice is generally one of the most popularly eaten foods in Africa. it could also be used to make tuwo shinkafa and masara. rice is composed of 68% water, 3% of protein and 28% of carbohydrates. The nutritional value varies depending on the strain of the rice. rice is therefore regarded as a staple food all over Africa. Also pronounced "waachey" this is an excellent choice of food for vegetarians when served without meat or fish. it is a popular dish which is very popular in Ghana and believed to have originated in the northern region of the country. WAAKYE is a rich dish which is made up of numerous combinations of fish, meat, garri, fried plantain, spaghetti, salad and served with kidney or black-eyed beans and rice. the food is cooked using many of the same methods with the exception of the spices and herbs present in the Indian version. it is commonly prepared at home but also sold by roadside vendors. a serving of WAAKYE (which is about 179g) contains 272 calories, 43.24g of carbohydrate 10g of protein and 6.6g of fat. it also contains 7g of fiber, 522mg of sodium and 393mg of potassium. BIRYANI which originated from the Indiansubcontinent and popularly known as Indian biryani which is similar to the Kenyan biryani, it was introduced to Africa many years ago, the Kenyan/Swahili biryani is traditional to the Kenyans it is cooked with beef or chicken, ginger, garlic, tomatoes, onions and many more , this meal is said to be stocked up with nutrient very beneficial to the health. 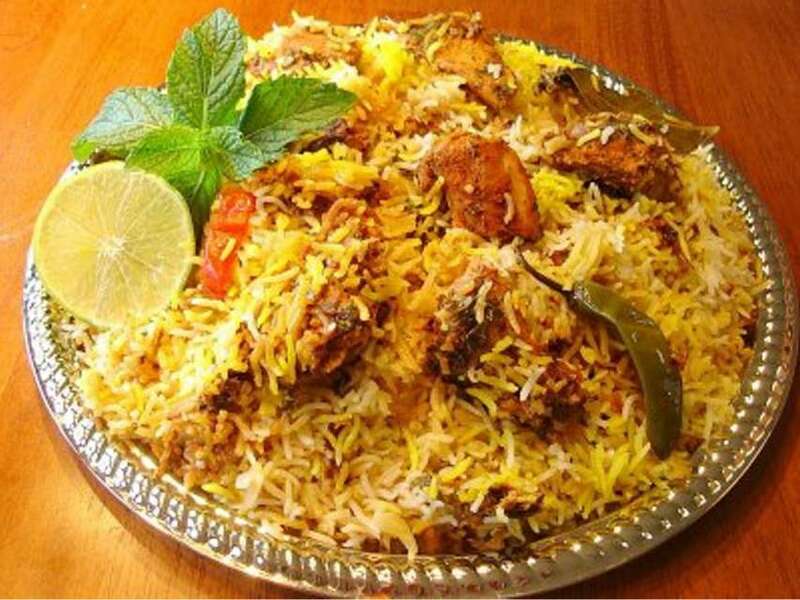 one serving of the chicken biryani contains 410 calories, 12g of fat, 60g of cholesterol, 580mg of sodium, 57g of carbohydrate,3g of dietary fibre,4g of sugar and 18g of protein, they also contain 10% of vitamin a, 15% of vitamin c, 6% of calcium and 15% of iron. 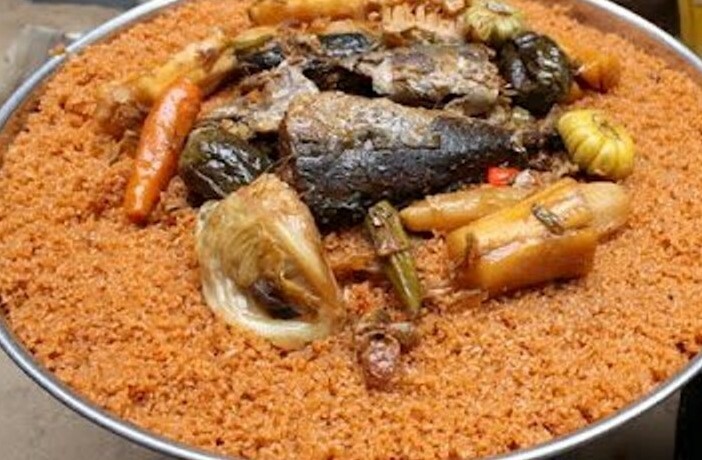 Also was known as chebu jen, it's a nice meal native to Senegal it is made from tomato sauce, rice and fish. the name of the food is believed to have come from the Wolof(which is the Gambia, Senegal, and Mauritania the Wolof language is native to the Wolof people) meaning "rice" and "fish. 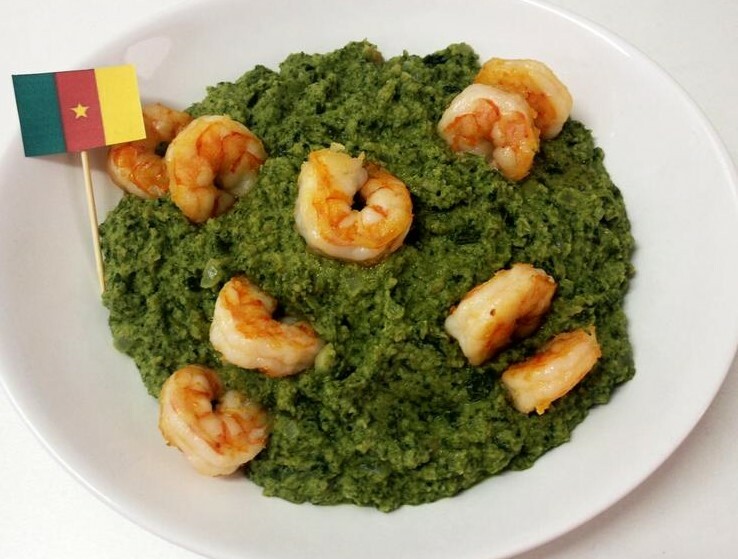 to countries like Nigeria, Ghana, and Mali it is known as jellof rice, in Guinea and Cote d'Ivoire it is known as "riz au gras". 368 calories are contained in 10 serving of this delicious meal. it also contains 47% of carbohydrates, 43% of protein, 8% of cholesterol, 39% percent of sodium, 7% of calcium, 24% of magnesium, 23% of potassium, 15% of iron, 15% of zinc and 41% of phosphorus. (vitamin b2), 28% of vitamin b3 (niacin), 25% of vitamin b6 and many more. Vitamin C- 35% Calcium 7.5% and iron is 10.2%. 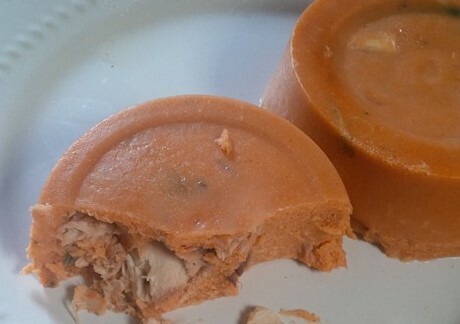 Moi-Moi or Moin-Moin (bean pudding) is a Nigerian food made from ground beans, can't really say where it originated from but its a very good meal to try Its major ingredients are a mixture of washed and peeled peas, onions, oil and fresh ground peppers. It's a protein-rich food that's very common in Nigeria. Some people put eggs, brisket bone or meat in their moi-moi. In Nigeria, there is a special type of bean used in making it. They call it the moi-moi beans other beans can equally be substituted for it. This is also known as Cape Verde sausage stew, cachupa is a famous dish originating from Cape Verde in western Africa. 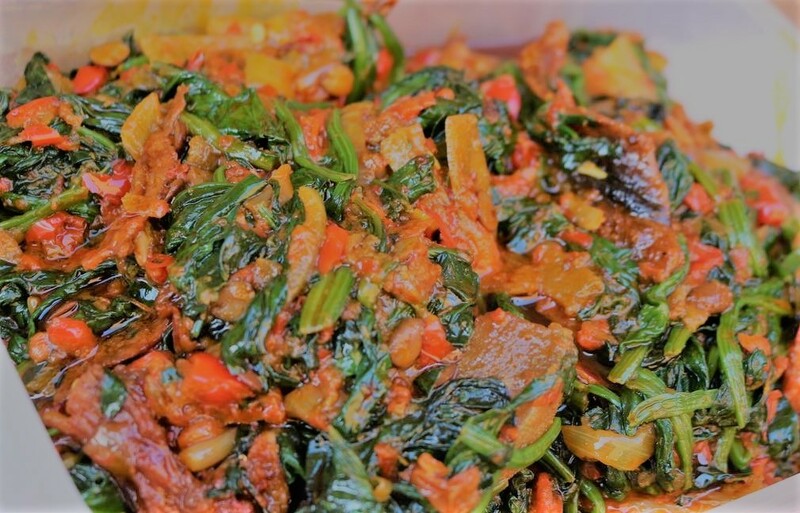 The stew is cooked with mashed maize(corn), cassava, beans, onions, green beans, manioc, squash, yam, sweet potato, meat or fish, the meat could be any variety ranging from sausage to chicken meat. Each region on the Cape Verde island often has its own variation of cooking the cachupa. In Sâo Tome and Principe, the cachupa is also very popular. 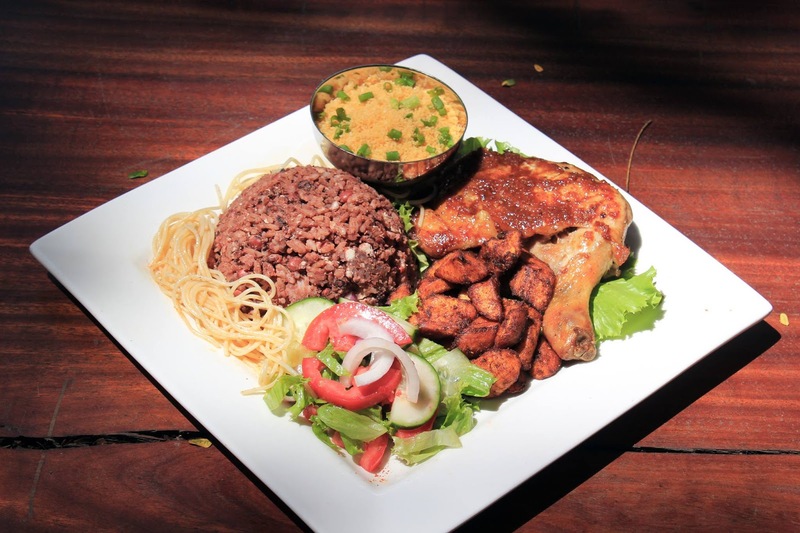 It is believed that this dish was brought from the island of Cape Verde. It is also prepared with mashed maize(corn), broad beans and green beans. As stated earlier the food has so many variations, when it comes to recipes they are of two major types the cachupa pobre which is prepared with simpler ingredients and cachupa rica cooked with more ingredients. irresistible. Ndole which originated in Cameroon consist of stewed nuts, bitter leaves which is indigenous to West Africa. Ndole can also be cooked with meat, fish or prawn and shrimp. It is locally eaten with ripe plantain(dodo). Nutritionally, Ndole contains 250 calories, 18g of fat, 10g of carbohydrates and 10g of protein. originally from Senegal Yassa has become a popular food throughout the west Africanized countries. 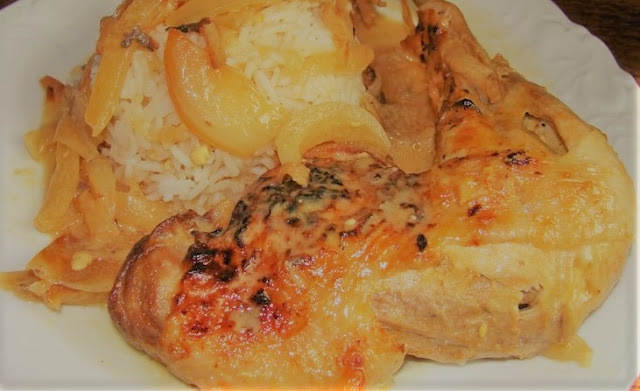 It is also called chicken Yassa(Poulet Au Yassa). 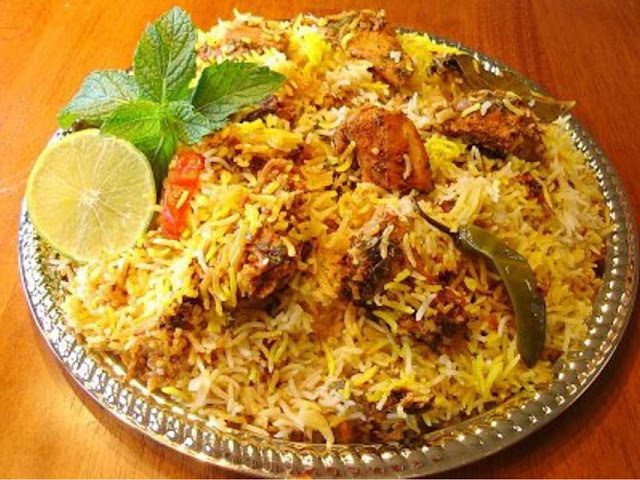 This spicy and wonderful dish is made with onions and marinated fish or poultry. The chicken or fish used to make this dish could either be grilled or fried then simmered with seasoning and mustard. Nutritional Yassa contains 391 calories, 31g of fat, 22g of carbohydrates and 6g of protein. This dish should be served hot. Kadjonou which is a local and very popular cuisine in côte d'Ivore. This is a slow cooked chicken dish that is easy to make. 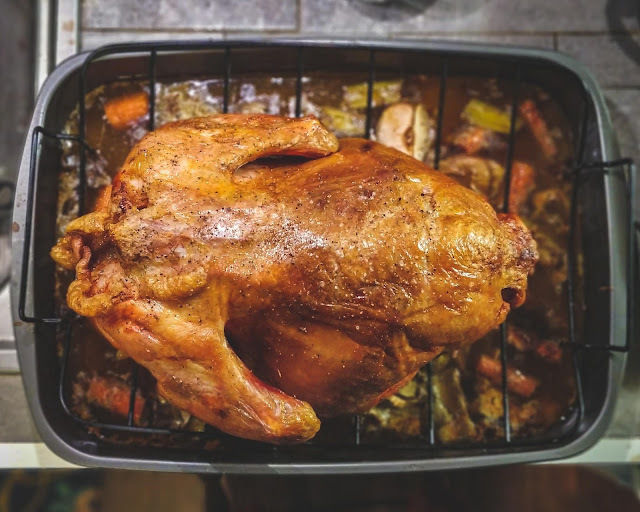 Its major ingredients are chicken, guinea hen, and vegetables. It originated from an ethnic group in ivory coast. While braising the chicken during cook time the pot is regularly shaken so that the sauce does not stick to the bottom of the pot. It is believed that the name Kadjonou was gotten which means to "move" or "shake". Nutritionally 387 calories are contained in kadjonou, 24g of fat, 8g of carbohydrates and 31g of protein. 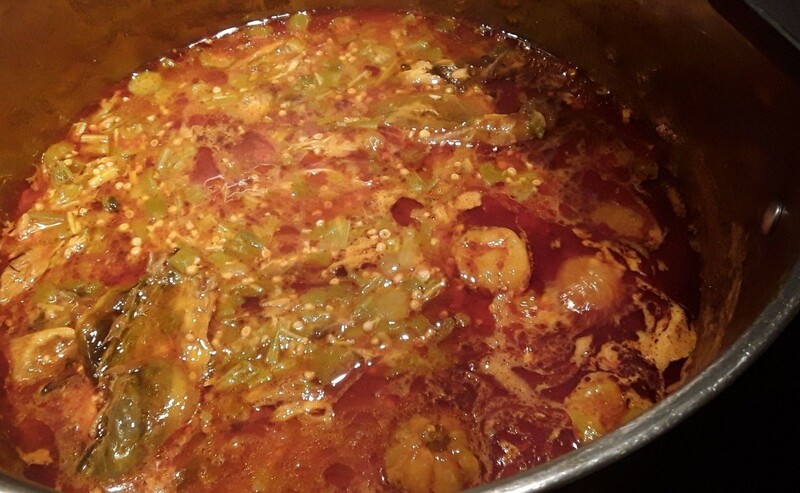 Super kanja also was known as Gambia okra stew. 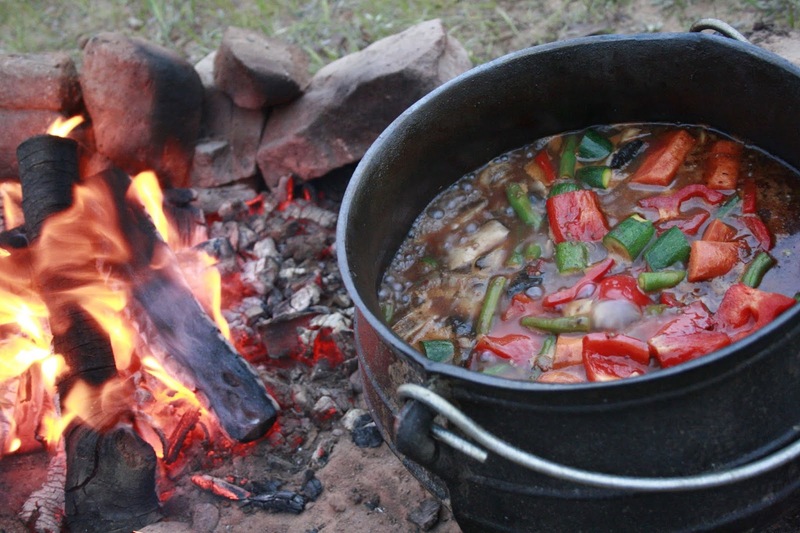 It is often referred to as the Gambian super stew. The name which is probably a combination of Portuguese and West African words. Sopa which is the Portuguese name for soup and kanja which is a western African word for okra. Superkanja may also be called kanjadaa and supa kanja. Amala, Garri or Fufu. It is similar to edikikong which is native to the calaber of the south-south region of Nigeria. The Nigeria spinach and meat/fish/chicken stew efo riro, Nutritionally contains 173 calories, 10g of fats, 6g of carbohydrates and 15g of protein. like wild mango, bush mango, African mango or ogbono) The ogbono seeds give the soup black coloration and are used as a soup thickener. The major ingredients for this soup/sauce are meat, seasonings, vegetables aside from the ogbono seeds(bush mango) water and palm oil. In many countries, the soup is available in a packaged prepared form in markets that sell African dishes. Ogbono soup is similar to okara soup due to the fact that it has a slimy texture. Nutritionally ogbono/bush mango nuts which are rich in protein and fat. They contain 470 calories. would you like to known about the health benefits of excercise? and 19 plant proteins for vegetarians? There are so many foods that are quite beneficial to our health and very popular too. the above are based on our own observations and research. if you have any contributions, please leave a comment below, also like my facebook page follow on intagram, twitter and pininterest for more and more amazing food facts and nutrition. Thanks!! !